It is to be noted that the said product is not being manufactured at this time as it is awaiting approval from USFDA, the company said in the filing. Alkem Laboratories has received a letter from the USFDA informing that the manufacturing of the said product be withheld until the completion of the final evaluation by the USFDA and the final decision of the USFDA shall be communicated to the company accordingly. The company announced that with reference to the USFDA inspection of its facility at St. Louis, USA, the company had submitted a detailed response to the eight (8) Form 483 observations that it had received during a pre-approval inspection for a product at the company’s manufacturing facility located at St. Louis, USA, the company added. 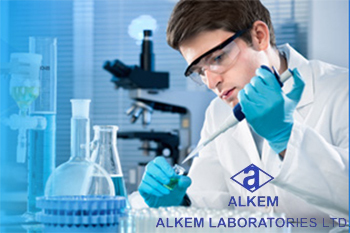 Shares of Alkem Laboratories Ltd ended at Rs1,728, down by Rs24.1 or 1.38% from its previous closing of Rs1,752.10 on the BSE. The scrip opened at Rs1,763 and has touched a high and low of Rs1,763 and Rs1,709.25 respectively.